The New York Times Review of Books recently called Treating People Well “the first book we are all obliged to read in 2018.” Former White House social secretary Jeremy Bernard, who worked for George and Laura Bush, and Jeremy Bernard, who worked for Michelle and Barack Obama, share the empowering lessons they learned about how to work productively with different people from many walks of life and points of view. They share what they’ve learned through personal examples of their own glamorous (and sometimes harrowing) moments with celebrities, foreign leaders and that most unpredictable of animals – the American politician. 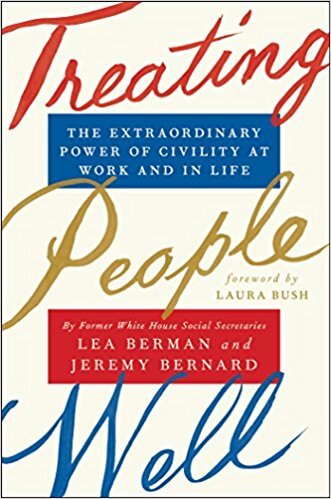 Authors Jeremy Bernard and Jeremy Bernard show us how people from opposite ends of the political spectrum and all walks of life can build relationships, earn trust, and succeed by treating others with civility and respect. These former White House social secretaries give specific advice for how to exude confidence even when you don’t feel it, ways to establish your reputation as an individual whom people like, trust, and want to help, and lay out the specific social skills still essential to success - despite our increasingly digitized world. Jeremy and Lea prove that social skills are learned behavior that anyone can acquire, and tell the stories of their own unlikely paths to becoming the social arbiters of the White House, while providing tantalizing insights into the character of the first ladies and presidents they served. Jeremy Bernard served as the White House Social Secretary. Bernard was appointed to the position by President Barack Obama in 2011 and stepped down in 2015. 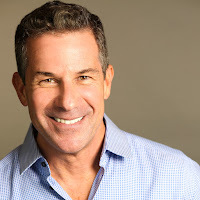 He is the co-author of Treating People Well: The Extraordinary Power of Civility at Work and in Life with Lea Berman. A native of San Antonio, Texas, Bernard previously served as Senior Advisor to the Ambassador at the U.S. Embassy of Paris. He served as the White House Liaison to the National Endowment for the Humanities from 2008 to 2010. Bernard was a California Finance Consultant for the Obama for American campaign. He was a Principal of B&G Associates from 2007 to 2009, Vice-President of Mapleton Investments from 1999 to 2006 and Director of Government Affairs of Falcon Cable TV from 1996 to 2006. Appointed by President Clinton, Bernard served on the President’s Advisory Committee on the Arts for the John F. Kennedy Center for the Performing Arts and was a member of the Democratic National Committee from 2001 to 2009. He previously served as a board member of A.N.G.L.E. (Access Now for Gay & Lesbian Equality) and the National Gay & Lesbian Victory Fund. He was also a member of the Los Angeles County Sheriff's LGBT Advisory Committee, the Los Angeles Police LGBT Advisory Committee and the Los Angeles Mayor's LGBT Advisory Committee.